Their beautiful wedding was on the incredibly cold, snowy weekend at the beginning of March. Sadly many of their guests couldn't make it due to so many flights being cancelled! I hope that seeing the photos can (slightly) make up for it. The girls got ready at The Merchant, which is also where the reception was held. It's an amazing building, it used to be a bank and is now an art deco-style 5 star hotel. 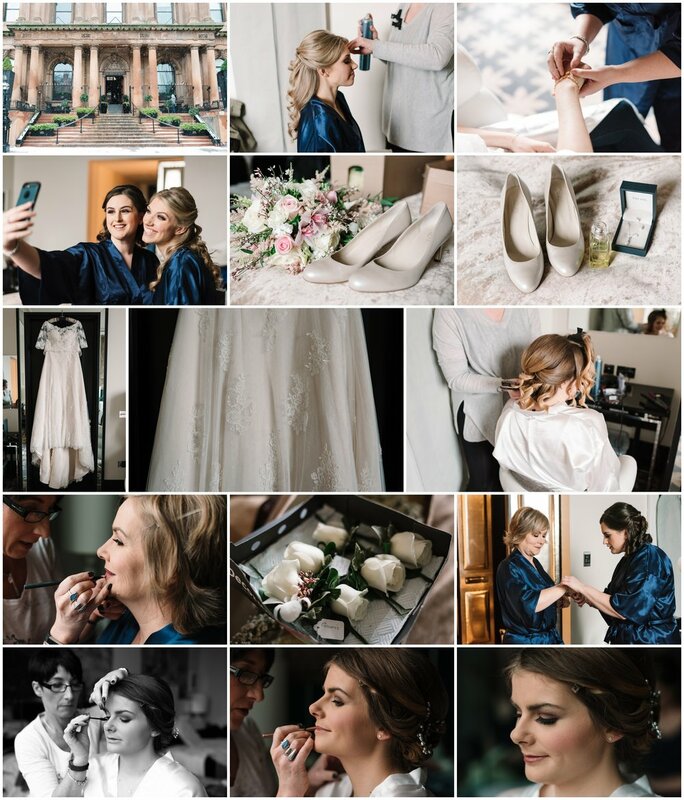 Tara and her bridesmaids were relaxed whilst getting ready, and even had time to FaceTime Amy's (bridesmaid) mum who was shopping in Waitrose back home in Surrey! Probably the most middle-class moment I've seen at a wedding! Their stunning make up was done by the very talented Kerri. 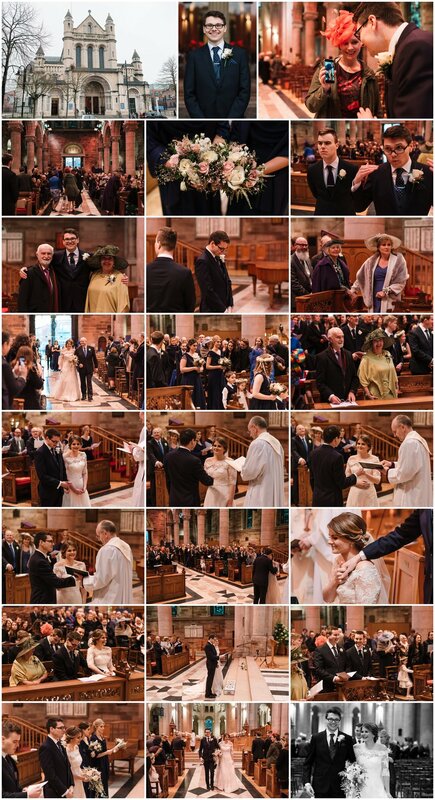 The ceremony was at Belfast Cathedral - which was huge, and felt very grand. The beautiful bouquets and flowers were by Floral Design, Bangor. As it was -1 degree, they thankfully had heat lamps shining down onto the guests. Tara looked incredible in her dress with shoes from Hobbs, and she had a second one from Jenny Packham for the evening party too. These two looked so happy to be getting married, just look at those smiles as they walked back down the aisle! We did their bridal party's photos on the steps of The Merchant, and I walked around a few local streets with James and Tara for their couple portraits. The boys' suits were from TM Lewin. We all warmed up back at the hotel, and they had champagne and canapés before a delicious three course dinner and wedding cake by Marks and Spencer. 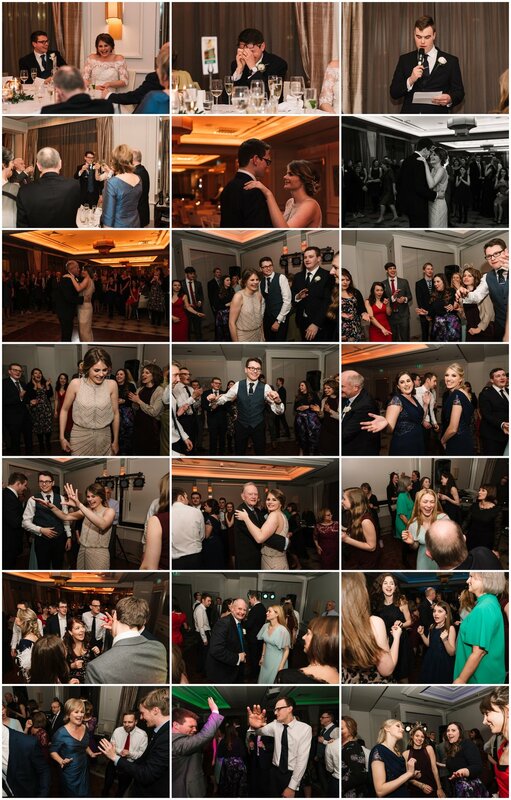 The speeches followed, and then the dancing with music by Bespoke Music Solutions - the dance floor was packed which was great for photo opportunities! 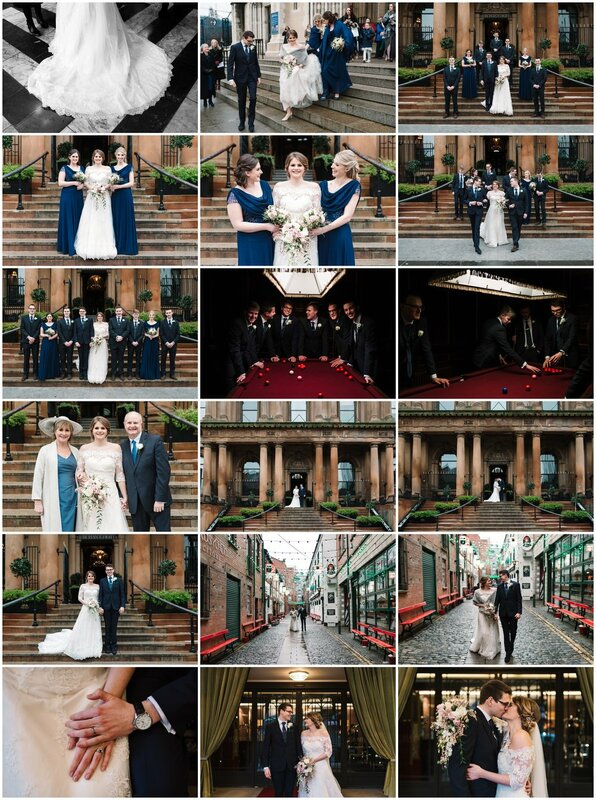 Congratulations again James & Tara, I'm so delighted that you love your photos!